Receive instant online bookings from your own website. Provide your guests with a simple and effective solution with easy-to-use secure online booking system. 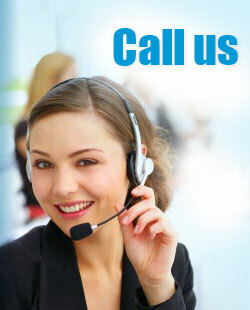 Convert your online traffic to real bookings with Bookings247 online booking engine. With a booking system on your website, guests do not have to wait till reception hours to make a booking. Guests will not go to other accommodation websites to make a reservation if there is no one at the reception desk to attend the phone. 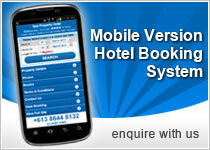 Mobile hotel booking system is available. Bookings247 reservation system for accommodation providers is free to use with the option to be integrated with PayPal. PayPal is a secure online payment system that allows a business to accept payments from guest's credit card, debit card, bank account or existing PayPal balance. PayPal is suitable for accommodation providers of all sizes. Increase confirmed bookings and receive payments by providing greater peace of mind for your guests with Paypal. Bookings247 reservation system also works with other payment gateways: CommWeb (Commonwealth Bank), eWay, PayWay (Westpac), PayMate, SecurePay and DPS. Payment gateway not listed here can be integrated, contact us for more details. Bookings247 reservation system works for accommodation of all sizes from 1 room to more than 100 rooms, its easy to add our online reservation system to your hotel website with NO Booking Commission and is FREE TO USE. * One-time setup fee may apply.